Celery is a green vegetable grown for its stalks and leaves. To the Greeks, Celery was a holy plant. Celery leaves were awarded to winners of the Nemean games (held every second year in the southern city of Nemea, starting in 573 BC). 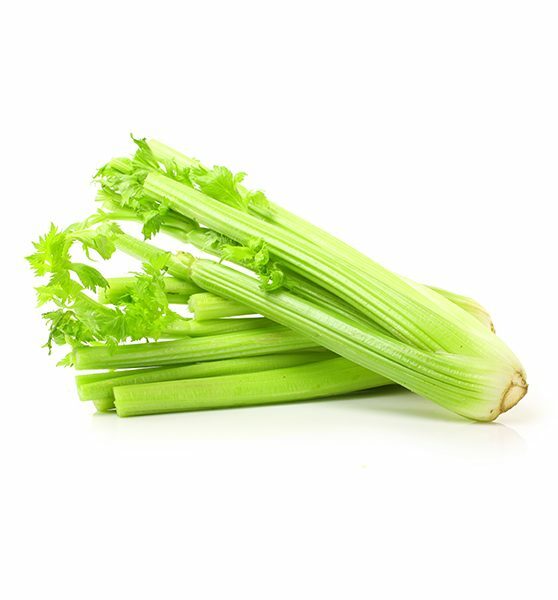 Being representative of Apiaceae family, celery is especially known for its healing properties. In the 9th century, Wild Celery was used for medicinal purposes. Italians began cultivating it in the 1500s, but again, for medicinal purposes. The first recorded use of cultivated Celery as a food is in France in 1623. For the next hundred years, it was used to add flavour to other food. By the middle of the 1600s, the French and Italians were eating it with a salad dressing. Celery has little nutritional value, aside from 6 calories per rib. Thus it is used in weight-loss diets. Its most popular use is to impart its flavour to a dish.